In the given scenario, the researcher is an accountant in a partnership firm with Alex Wolfe under the firm called Y & W Partners of Business Law Assignment. The duty of the Alex Wolfe is involved in the taxation advice whereas researcher is expertise in auditing service. Y & W Partners provide advice on taxation and auditing services but the firm does not provide advice on strategic investment. On the other side, Golden Egg Pty Ltd give advises of high healthy individual to Alex Wolfe for their investment strategies. However, after some year it has found accountant and the Golden Egg Pty Ltd that Alex Wolfe developed a arrival business against Golden Egg Pty Ltd namely Superb Growth Pty Ltd. While in the development of the Superb Growth Pty Ltd it has found that Alex Wolfe gave same taxation advice that is was gave to Golden Egg Pty Ltd also share the confidential database of clients of Golden Egg Pty Ltd that was received by Wolfe at the time of delivering those advice. This assignment is developing to the legal actions and the steps that Golden Egg Pty Ltd can charge over the Y &W Partners. With the help of this assignment, accountant will help in knowing the deep concept of the Business Law Assignment and Partnership law. While understanding the entire concept of the given scenario it has found that all the issues and the conflicts is done by the Alex Wolfe. Whereas, in the concept of partnership business it has found that in every situation partner are sharing the concept before taking any decision in the business (Fletcher and Higgins, 1996). As per the concept of the given scenario it has found that Alex Wolfe is a partner who share the detail of the companies with its individual client that is Superb Growth Pty Ltd. In spite of this, company Y & W Partners having a partner that is Golden Egg Pty Ltd whose database of the clients is also given to Superb Growth Pty Ltd by taxation advisor of the company Alex Wolfe. From this situation, it is clear that the Alex Wolfe did fraud with the company and its client Golden Egg Pty Ltd.
By the concept of the Partnership Act, R.S.B.C. 1996, c. 348, s. 12 it can be concluded that since one partner did the fraud but the liability of the fraud was is to compensate by the firm. Since in the concept of Fletcher and Fletcher (2007) has found that when the client is suing the lawyer and the law firm for doing breach in the fiduciary responsibility and the duty line of the business the clients can ask for the compensation of the loss that is faced by its company. As per the concept of the given scenario, the same scenario was taken place in the year of 1969. In this scenario, the company was Robert Bushby Pty Ltd. that was a private company. During the running period of the business management, many changes in the activities took place like the change in the auditors, taxation assignment and advisers as per the need of the business. At the time of the year 1976, it has found that the new partner of the business Mr. David has collected the two cheques from the bank Katoomba Branch of the Bank. The money taken from the bank was regarding the loan against the bills of the its partnership business that Davis Batty & Co. Trust Account. However, when in the later 1976 other partner Mr. Batty of the partnership business came to know about the loan that is taken by another without knowing to it then he decided to dissolve the partnership deed. In conclusion, to the scenario, court has decided that the partnership business need to repay the amount of the bank that is taken by one partner. In the concept of Gabriel and Watson (1981), it is the entire responsibility of the partners in a partnership firm regarding the activities of each of its partners. In spite of this the cheque that are drawn by the name of the partnership firm this means that firm are include in the transaction process. On the bases of this, Bank did the cross claim over the company for its loss. With the due the respect of the court decision, Davis Batty & Co. Trust Account has to repay the cheque amount. After this situation Mr. Batty, break the partnership with Mr. David. Although, Mr. Batty need to suffer due to the illegal activity done by its partner. In reference to the above mention scenario, it has found that the case study that is given there also Alex Wolfe is acting as the representative of the Y & W Partners. Hence by linking the two case studies it has found that Y & W Partners need to repay the compensation to the Golden Egg Pty Ltd. as the losses are been faced by the Golden Egg Pty Ltd who has share its confidential subjects to the company not to the individual. On the bases of this, it can be concluded that Golden Egg Pty Ltd was having business relationship with Y & W Partners. Therefore, the claim for the compensation will be done to the Y & W Partners, as the information of the clients’ database is share with the business and business agent. Forsyth (2005) stated if the business agent is not performing effectively with it clients then it is the responsibility of the firm to minimise that gaps and the barrier that is acting as the mediator to stop it. If misconduct will be carried out then it will be loss of the organisation goodwill and image in the market. The compensation to the loss of the clients needs to be fulfilled by the company not by the business agents (Anon, 2014). It has found that in case of Davis Batty & Co. Trust Account, that in the compensation to the loss the bank framed cross-claim as in the breach of the agreement that has been developed in the relation to the bank and the business Davis Batty & Co. Trust Account. On the other side, bank also claims over the business in case of representing fraud documents of the business from taking the money from the bank. While after doing settlement with bank, it has found that bank taken its cross-claim back of representing fake documents of the business in search of taking loan from bank. After the judgment of the court, it has declared that business needs to pay the compensation to the bank regarding the loss that has been faced by the Bank. 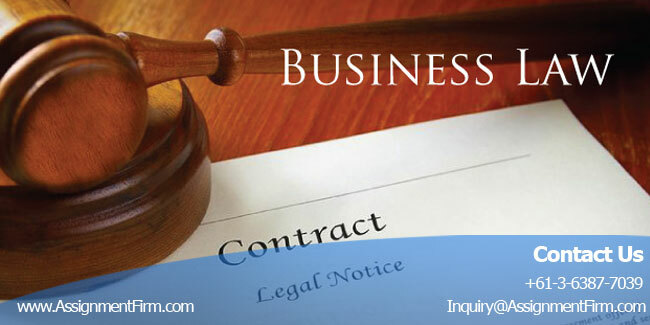 As it has found in the Court of Appeal that it is necessary to meet with the application and on that bases it the liability of the firm as the loan is taken by the agent of the business by delivering the legal paper at bank. Higgins and Fletcher (1981) in the viewpoint of it have found that in a partnership business all the partners are required to share information that are related to the business. It is the responsibility of the partners to know the activity of the other partner. With the concept of the Partnership Act 1996, partners should be having fiduciary relation with each other in the entire situation that pertaining as per the partnership act. Baxt et al. (1984) conducted that partnership business the trust, confidence and the loyalty of all the members. From this scenario of the Partnership Act 1996, it can be concluded that Y & W Partners are the liable for the fraud of Alex Wolfe as it was fault of the other partners they are not aware of the deed and planning of the corrupted partner. Hence it this circumstance account of the Y & W Partners need to show the lost fee income in the name of Golden Egg Pty Ltd a Y & W Partners is liable to pay the compensate amount. In the concept of the continuous obligation, it has found that if a partnership business is running under the lack of the faith then organisation should turn for its dissolve. Buckingham (2010) suggested that if the trust is not their then it would be effective the breach of partnership take place. As per the concept of the section 10 of partnership act 1892, Mr. Batty is consider to be liable as it was not having any information regarding the work of its partners. In the reference to the scenario it can be concluded with the help of 1982, AC 449 that the cheque are representing the company that means for the fraud company is the person who is responsible. Since company is responsible, then it only needs to pay the compensation amount to the bank. In the reference to the scenario, it has found that Y & W Partner need to pay compensation amount to the Golden Egg Pty Ltd.
From the concept of the given scenario it can be justified that dissolve of the partnership is done as because of Alex Wolfe tries to take the advantages of being a fiduciary member in the business and the other issues in conflicts on duty. It can be concluded that Alex Wolfe was having a separate department in it the company that is taxation. While dealing in the taxation advisor it makes a new client that was not informed to the other partners. Therefore, for being a fiduciary member Alex Wolfe developed a new way in which it can make its profit without any partner’s obligations. Other thing is that conflict of duty is the substance in the case of Y & W Partner, as other members will be appointed in a department then Alex Wolfe will not be able to generate the new customers without knowing to its company. From the entire scenario of the topic it checked that Y & W Partner is liable for the discloser of the confidential detail of its client Golden Egg Pty Ltd. and it need to pay the compensation amount. In the given scenario, it has found that the duty of the Fiduciary was limitless in its fields. However, as per the concept of the Partnership Act it has found that the duties of the members are need not be limitless. It was limitless then fiduciary will work according to their wish and purpose (Anon, 2014). Like in a health care center, suppose there are two physicians with their limited section of working field. Both the physician will be working as per their criteria and will not be able to create any issues in other fields. In spite of this will be trying to develop its working ability neither to do business from outside. Hence, in the same manner it would be effective if Y & W Partner had limited the working area of the partners. Working in a limited area will help all the members to work under a consent along with the agreement and not let Breach of partnership deed. It is the concept of the partnership act that the profit that gained by the funds of the partnership business need to be used for partnership purpose (Rimmer, 2014). As per the concept of the given scenario it has found that that the new clients brought by the Alex Wolfe in business for its side income not for the purpose of the partnership business. On the other side as per the case study of Davis Batty & Co. Trust Account, banks gave loan to the Mr. David, as it is the rule of the partnership business that before getting profit of the business, business is liable to pay the market money / loan amount to its debtors. However, it was found that Mr. David and Alex Wolfe both taken the money from the market is term of their own benefit not by their individual partnership companies. Since it is, the legal obligation that is arose in the fiduciary and Business Law Assignment. While working over the deed of partnership Act 4896 and 1996 it has found that each partner of a firm are having equal responsibility of the action taken by its partners. It has found there are many legal obligations that a partnership company needs to meet for the development of its business with and issues and conflicts. However, in case of Y & W Partner and Golden Egg Pty Ltd companies it has found that organisation Y & W Partner was able to run its business under the legal obligation. For this issue, a partner of Y & W Partner called Alex Wolfe make fraud with the company Golden Egg Pty Ltd. Before coming fraud in the notice of Y & W Partner and Golden Egg Pty Ltd, the fraud partner Alex Wolfe converted the maximum wealth into diamonds and left Australia permanently to an unknown country. As fraud done the partner of Y & W Partner and the Golden Egg Pty Ltd. is the client of the company that made Y & W Partner as guilty. being consider as guilty Y & W Partner need to pay the compensation amount to the Golden Egg Pty Ltd. for sharing its clients’ data base with Superb Growth Pty Ltd and sharing the same advice regarding the taxation of both the Pty Ltd. companies.